Summary from Goodreads: Sydney Sage is an Alchemist, one of a group of humans who dabble in magic and serve to bridge the worlds of humans and vampires. They protect vampire secrets - and human lives. The Fiery Heart finally gives Adrian and Sydney fans what they've been hoping for - a real romance. Of course, it isn't all perfect and easy. They have to hide their relationship from everyone - especially from Sydney's alchemist sister, Zoe. Too much focus on Adrian and Sydney? I honestly didn't see this as a negative, but I'm honestly having trouble coming up with any. There is definitely a greater focus on Adrian and Sydney's relationship than on the actual advancement of the plot. I guess that might bother some people, but I was happy to get an Adrian and Sydney fix!! Adrian and Sydney. I have been waiting and waiting for Adrian and Sydney to get together (mostly because I'm completely in love with Adrian and I want him to be happy!). Well, I definitely got my wish in this book. Not only are they together, but they are completely and blissfully in love, even if they can't show it most of the time. I actually loved Adrian and Sydney's secret relationship because it gave them so many opportunities to just be hilarious and sweet. The sly looks between them and the way that they would pretend to be snarky toward each other in front of other people - it was all so fun! I also loved that Adrian and Sydney never gave up on each other, even when things got really hard. Yep, I was pretty much in love with everything about this couple!! Adrian's inner turmoil. I loved seeing through Adrian's eyes in this book. He's such a complicated character and I was so excited to finally see into that brain of his! Of course, we know that Adrian has his demons - Spirit has been eating away at him for years and he has always self-medicated using cigarettes and alcohol. But now that he's with Sydney, he's trying to turn things around and give up his old vices. Of course, it's not always easy - especially when using Spirit sends him into fits of mania and depression. And then there's the fact that he never feels good enough - like he doesn't have anything to give to society. Or to Sydney. 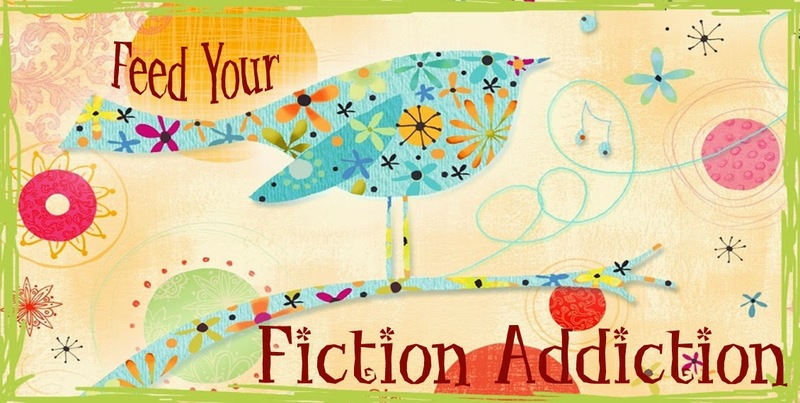 I was totally engrossed in Adrian's struggles and was rooting for him to overcome his demons throughout the whole book! The gang. Mead has created such fun and interesting characters, and I loved getting to see them again. Angeline, Jill, Eddie, even Trey - we got to see them all again in this book. I'd almost forgotten how much I loved all these characters! And in this book, we get a few new interesting characters - mainly Sydney's sister Zoe (who is very similar to Sydney in the first book or two) and Neil, a new Guardian. The subplots. Okay, lots of this book was about Sydney and Adrian and how they had to hide their relationship from everyone, but there was also some other advancement of the plot of the series in general. Sydney finds herself working on a way to create the indigo ink that stops the Alchemist's mind control and Adrian ends up helping with the discovery of a possible way to make people immune to being turned by Strigoi! The ending. Argh!!! Mead kills us with a cliffhanger ending!!! While I was pretty sure this ending was inevitable, it didn't make it any less painful. I don't know how I will wait until book #5 is out! 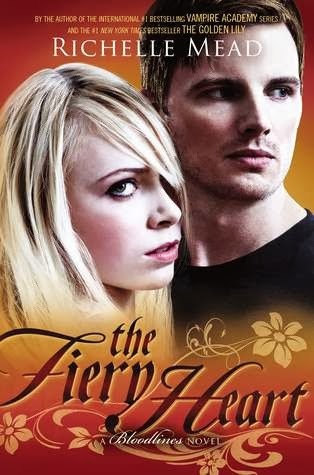 If you're a fan of this series, I don't think you'll be disappointed with The Fiery Heart - especially if you're like me and you've been dying to see the romance develop between Sydney and Adrian. I absolutely cannot wait for the next book in this series!! 5/5 stars.